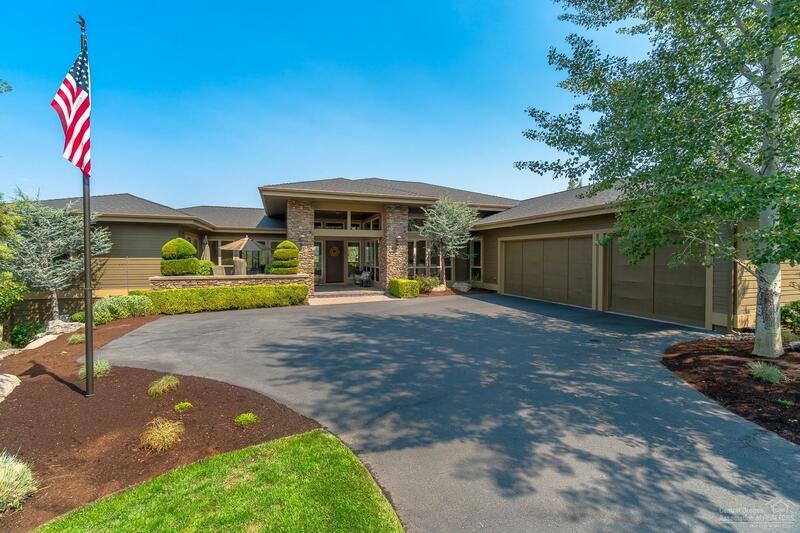 Gorgeous Northwest Contemporary on the 12th fairway of The Ridge Course! Single level great room plan loaded with luxury finishes including extensive built-ins, stone accents, soaring ceilings and walls of windows. New white oak floors and new carpet in bedrooms. Gourmet kitchen with slab granite counters, double island, built-in buffet and gas cook-top. Formal dining room and den with built-ins. Expansive paver deck overlooking the fairway. New HVAC 2017. Triple car garage and huge storage under home.